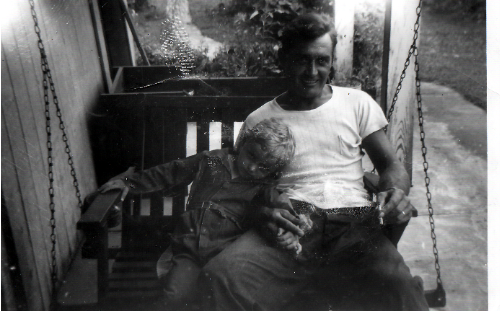 Well, another baby boomer turned 66 — yours truly. On today I am officially an old cheese-cutter. According to the U.S. Census Bureau, I’m one of nearly 400 baby boomers [those born between 1946 – 1964] that turn sixty-six every hour. There are about 75 million boomers in the U.S.; we currently represent about 29% of the U.S. population. They say that three things happen when you get to be as old as me. The first is you memory starts to fail you, and … ah… ah…Well I forget the other two. One of the great paradoxes of getting older is this; the more I learn, the less I know. You see, getting order does not necessarily mean that one gets wiser. One sign that you are getting wiser is that you immediately grasp the meaning when I say, “The more I learn, the less I know”. I’ve learned that real love has legs on it. The sad truth is that not everyone who says they love you actually does. There’s a big difference between saying you love someone and showing them, everyday, in every way, through thick and thin that you do love them. I’ve learned that kindness seems to be a rare commodity these days. Yet, it’s one of the main characteristics of a true Christian. You would be surprised how one simple act of kindness, that cost you little to nothing, impacts others. A birthday card, a simple complement on a job they’re doing, to a “How are you?” and mean it sincerely. It’s astonishing how many people there are who need only a kind word from someone. To many it would make their day. I’ve learned that treating people with respect and gentleness costs you nothing but gains much. A joke for a waiter or waitress along with a healthy tip expresses more of the kindness and love of Jesus than a Christian tract and no tip. I’ve learned that I should heed the rebuke of a true friend because a true friend has no hidden agenda. He loves me, prays for me, and wants what best for me. I’ve learned early in my life that not everyone likes me. In fact, some people actually hate me. I know that’s hard to swallow considering how loveable I am but true nonetheless. This is especially true for followers of Christ. We’re not part of this world’s sin-sick system. Therefore, many hate us because we love Jesus. However, the flip-side of the coin is that there are many who love us because we love Jesus. I’ve learned that people, even Christians, are fallible and I should be patient with them, and hope that they will be patient with me. I’ve learned that God is not religious; that Jesus did not come to this planet to start a new religion, like we don’t have enough. According to Wiki there are thousands, perhaps millions of religions in the world. It would be impossible to count them all. No, God is not religious. He’s relational! Jesus came to break the bonds of dead, stale religion and sin’s ternary in order to open the door for us to approach God directly. Consequently anyone can have a personal relationship with God. I’ve learned that life is less stressful when you discover how to make adjustments. To say that life is not fair is a gross understatement. You don’t always get what you want and things don’t always go the way you want. So, you learn to pray for wisdom in order to tell the deference between the different kinds of potholes on life’s highway. Ask God which potholes can you personally fill and what are the ones that only he can fill. In addition, ask him to help you learn to accept the fact that some potholes will never be filled. That’s just life. One of the most important lesions I’ve learned in my over 50 years of walking with God is this. God has no plan “B”. Where we are concerned the Sovereign Lord doesn’t need another plan to fall back on. When life sucker punchers me, and it has many times, God doesn’t pace back and forth in front of his Throne, wringing his hands, wondering what to do about us. God’s not surprised by anything. In fact, nothing happens in my life until it first filtered through the permissive will of God. Therefore, even the terribly painful things that have happen to me were commandeered by my loving Lord and used toward my best interest. Finally, I’ve learned that laughter is the best medicine for stress and that the joy of the Lord will often express itself in hilarity. I learned this lesson many years ago when I was facing one of those times of great turmoil in my life. My heart was breaking and confusion was abounding. So to fight off the despair I was facing, I put on some powerful praise music, began to sing alone, and soon I started to burst forth in unabated praise— singing loudly and dancing before the Lord. Soon, I found myself laughing so hard that I was rolling on the floor. Did my situation change after I did that? No, but I was chancing. My spirit was being strengthened to the point that I could better deal with the my situation. Divine Friendship – What impresses God? What do you think impresses God? Can He be impressed? After all, He is God! Is it possible for a mere mortal to do anything that makes the all-powerful God stand up and take notice? What catches His eye? Is it hard work and dedication? Is it purity of walk—to abstain from wickedness and so forth, as many believe? Perhaps that’s what impresses Him. Maybe God’s impressed with people who have great skill, wisdom, or fame. Perhaps He’s captivated with someone who has a great deal of political clout? There’s nothing intrinsically wrong with any of these traits, providing we use them for the glory of God. However, God does not require from us such things in order to be accepted into His Kingdom. Man’s achievements and how well people may perform does not impress Holy God. I believe that the number one thing that God looks for in His people is faithfulness. He’s not exactly impressed with our toil or even our abstinence. As for our pledges, all too often they are dropped along the wayside shortly after they fall from our lips. After all, talk is cheap. No, God wants something more than our empty promises. He desires the same things that we all want in a relationship. Be it in marriage or in friendship, God wants faithfulness! We want God to be there for us when we need Him, right? But have you ever considered that God wants you to be there for Him? He loves you deeply and that will never change. Because of the sacrifice that Jesus willingly gave for us, we can benefit from something that Abraham enjoyed. If you find only one really good friend in your entire life, you’ve found one of life’s great treasures. Abraham was such a friend. He was God’s friend. 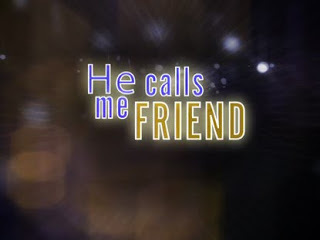 What an awesome thing to be called, “God’s friend”. When you refer to someone as a friend you’re speaking of something much more than simply being on a first name basis. True friendship is a marriage of sorts. A true friend is always there for you. You can depend on him to be faithful to your friendship no matter what the cost. A true friend sticks with you through heartache and pain, through the good times, as well as those times when your world crashes down around you. Other so-called “friends” will suddenly vanish from the scene at the time you need them most. In addition, a true friend will lovingly and prayerfully tell you when you’re wrong. Your other so-called “friends” will not. You can let your hair down and be yourself around a true friend. You don’t have to put up a good front, for your friendship is based on love and not performance. True friendship can be summed up in one word—faithfulness. Paul said that we are “given a trust.” In other words, God is showing us that He trusts us. Imagine that; God has given us His trust. Isn’t that what friends do? Now, if we would be true friends to God we must show Him that His trust in us is not wasted. Don’t be afraid to be God’s friend. Do not give into the fear that you may let Him down. Remember, God’s your friend as well. As I stated earlier, true friendship is based on love―not performance. There was a farmer who owned an old mule. One day it stepped on some rotted planks covering an old abandoned well. The weight of the mule caused him to brake through the cover and fall into the well. The farmer heard the crash of the mule’s fall and the mule’s terrified bellowing and came running. He gathered some friends and they tried in vain to get the old mule out, but there was nothing they could do. Sadly, the farmer made the difficult decision that neither the mule nor the well was worth the trouble of saving. So, he got some shovels and he and a few friends began to bury the old mule in the well in hopes of putting him out of his misery. When the dirt began to fall the mule started to panic! But then something dawned on him. Every time a shovel load of dirt landed on his back, he would just shake it off and step up! No matter how painful the falling dirt was or how bad the situation seemed the old mule fought off panic and just kept right on shaking it off and stepping up. Soon the old mule, battered and exhausted, stepped triumphantly out of the well! The thing that was designed to bury him actually brought about his deliverance. Do you ever feel like life is burying you? If so, how do you respond? Do you give into panic? Do you give way to bitterness, or self-pity? 2 Corinthians 4:17 says, “For our light and momentary troubles are achieving for us an eternal glory that far outweighs them all.” The adversities you face each day can either bless you or bury you. The choice is up to you. Your attitudes determine which will happen—deliverance or burial—stones of offence or stepping-stones. You decide. 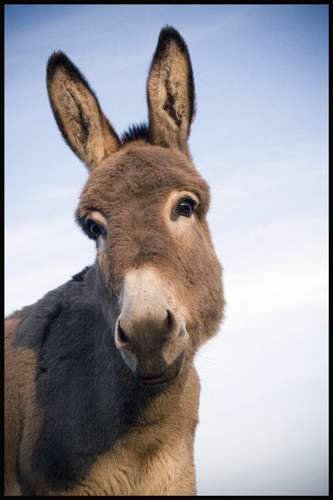 So, the next time you think life is trying to bury you, remember the old mule. Just shake it off and step up.